Your personal paradise, an ideal apartment in a fantastic beach front location. 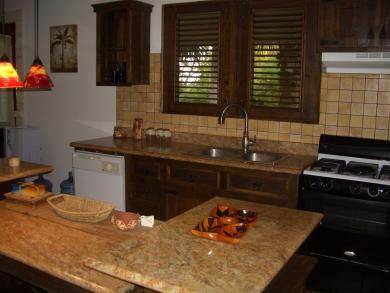 Almost 2000sf of space, this fully furnished 3 bedroom apartment is a rare find, and located on one of the most pristine, semi-private beaches in Cabarete. While sitting on the spacious terrace enjoying the fresh ocean breeze, you will marvel at the tropical beauty of this complex, the stunning exotic feel of the beach, and the lovely interior amenities of this terrific apartment home. Come, relax on this quiet beach, and body surf and snorkel this crystal clear blue water!